Lacto-fermentation is growing in popularity as more and more people discover the health benefits of this ancient food preservation method. But I have to tell ya, the taste of these foods are a benefit as well. At Cooking God’s Way we wanted to share the top questions from our local and online classes on lacto-fermentation. Lacto-fermentation is an ancient method of food preservation that has been around for thousands of years. It can be preformed on raw and cooked vegetables. Many different cultures around the world used this technique in some manner. Many foods that you have eaten or have heard of were originally made using lacto-fermentation, ie. sauerkraut, pickles, kimchi (a spicy sauerkraut eaten to this day with every meal in Korea) etc. Lacto-fermented foods are not only “preserved” but are nutrient-dense, enzyme rich and made alive with probiotics. *Update: Without getting too deep into the science let me quote from our book, Lacto-fermenting: The Easy & Healthy Way, “Lacto-fermentation happens when natural starches and sugars found within vegetables and fruits are converted to lactic acid by the friendly bacteria lactobacilli. The term “lacto” in lacto-fermentation, refers to the production of lactic acid. 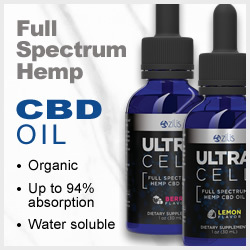 This acid is a natural preservative, inhibiting the growth of putrefying bacteria. Of all the acids common to food preservation, lactic acid is the one most easily used by the body and does not cause over-acidifying effects.” An anaerobic environment (without air), enhances the production of lactic acid and this is why fermenting kits were developed. 2. Why should one eat lacto-fermented foods, what are the benefits? Most cultures around the world have some sort of fermented food that is a staple in their diet. We should be following in their footsteps, as there is a reason their health is more stable than that of many in the U.S. It is becoming widely known that 80% of our immune system is in our gut. The immune system deals with aging, infection, disease, and general health. Consuming these probiotic and enzyme rich foods help build the immune system and aide digestion, taking a load off our system. *Update: Fermented foods, which are enzyme rich, help to digest enzyme deficient foods, i.e. cooked foods. The Germans who are famous for their sausages have combined sauerkraut with meat for centuries. Eating fermented foods with meats greatly aids in their digestion, while helping to wring out all the nutrients available. 3. Can I get food poisoning from eating fermented foods? Fermented foods which are properly made are considered very safe to eat. According to Fred Breidt a microbiologist with the USDA – “properly fermented vegetables are actually safer than raw vegetables, which might have been exposed to pathogens like E. coli on the farm… With fermented products there is no safety concern. I can flat-out say that. The reason is the lactic acid bacteria that carry out the fermentation are the world’s best killer of other bacteria,”– San Francisco Gate, June 2009. It does not happen very often, but if an occasional batch goes bad, you will know it. In all the years of fermenting foods I have only had 2 batches go bad. One got mold on it after being the fridge for some time and one smelled so horrible after the fermentation process that you couldn’t even get your nose near it. Both were tossed in the garbage immediately. So you can see, if it does happen, the signs will be there and it would not be easy in the least to consume a contaminated batch. *Update: A study showed that the basic compounds of many common insecticides, herbicides are broken down becoming harmless during the fermenting process. This is exciting to know since we are living in a increasingly polluted world. 4. Are lacto-fermented foods available for purchase in the store? Fermented foods are usually not available for purchase in the store, well at least not at the level of fermentation that is performed at home. The simple reason is that fermented foods are living and continue to ferment, producing gases, which in turn creates pressures that product packaging could not contain. Can we say leaky cracked, exploding jars and burst bags?! No worries though, lacto-fermented foods are easy (and safe) to make at home. *Update: I have learned of a company Farmhouse Culture, that has developed packaging which allows them to sell facto-fermented sauerkraut in retail supermarkets. The packaging allows the gasses to escape while retaining the liquid, thus no mess. I called them and they do produce their sauerkraut with out heat the correct way. Look for their product in the refrigerated section. While this item may not be cheap it gives you a great way to experience real fermented foods. 5. Is specialty, expensive, equipment needed to make lacto-fermented foods? The process of lacto-fermentation takes place in an anaerobic environment, meaning without oxygen. If oxygen is present the wrong organisms can flourish instead of the beneficial ones we desire. During the process of fermentation gases are produced which can cause cracked or even worse, exploding jars… yikes! The good news… there is equipment available that makes lacto-fermentation safe and easy. These specialty fermentation tools keep air our of your ferment while at the same time allowing gases to escape, so you can get less issues with mold or ferments going bad, and avoid the scare or worries of exploding jars. If you look around the internet you will find many different types of vessels or equipment for fermenting, they can range in price from very affordable and economical to quite costly. We at Cooking God’s Way have designed a system for lacto-fermentation that is very affordable, economical, and easy to use – see our Lacto-fermentation Air-lock System. 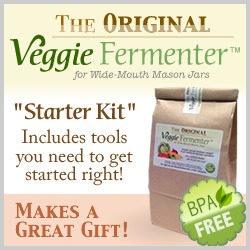 *Update: We have just released The Original Veggie Fermenter (starter kit), everything you need to get started fermenting , just add the food and a jar. 6. What is the process or methods used to make lacto-fermented foods? During lacto-fermentation we are basically growing/culturing a probiotic food. So we can either allow the lactobacilli already present on the vegetables to proliferate or we can add a special culture to get it started. I like to keep it simplest whenever possible. When fermenting raw vegetables just using some sea salt and/or a salt brine will keep putrefying bacteria at bay until the natural lactobacilli on the veggies can take over. When wanting to ferment a food that is not raw, but cooked or roasted, then it is important to use some sort of culture that contains live lactobacilli since some of the enzymes have been destroyed. The culture can be a commercial culture, usually a powder, available online, or the easier way is to use “whey”. Fresh liquid whey can be easily obtained from plain yogurt with live active cultures or kefir, making it an economical choice over specialty vegetable culture powders. *Update: Beware there are different websites now claiming that you have to use a culture when fermenting raw vegetables or you will not produce healthful levels of probiotics. Fermented vegetables have been produced for centuries without expensive cultures and lab tested to confirm. It is called lacto-fermenting because lactobacilli present (probiotics) on the raw vegetables create lactic acid and multiply during the fermenting process, all with out the aid of a culture. It is interesting that the websites that claim you have to use a culture just so happen to sell that culture, very interesting. If you do want to use a culture with raw vegetables it will not hurt anything but your bank balance. Keep in mind that cooked vegetables will need a culture since all the good bacteria were killed in the cooking process. 7. Can I eat lacto-fermented foods even though I’m lactose or dairy intolerant? The process of lacto-fermentation happens when the starches and sugars within the vegetables are converted to lactic acid by the friendly bacteria lactobacilli. So the term “lacto” in lacto-fermentation actually refers to this production of lactic acid, not lacto as in the lactose in milk. So, the answer to this question is Yes and Maybe No. YES – If the fermented food was made with the traditional “salt-brine” method. MAYBE or NO – If the fermented food was made with the addition of “whey”, usually from yogurt or another milk product, those with dairy intolerance’s may not be able to enjoy those types of ferments. In this instance one would have to proceed with trying at their own discretion and risk (non-dairy vegetable culture powders that are available to use inplace of “whey” if dairy is an issue). *Update: Whey made correctly at home has the milk solids removed. It has been shown that this type of whey maybe less of an issue with people that are lactose intolerant. It would be prudent to experiment with caution if you are depending on how lactose intolerant you are. It could open a new great food to you. 8. How long do fermented foods last? Lacto-fermented foods differ from commercially processed foods in how they go “bad”. Commercially processed foods become tainted with bad bacteria or mold, becoming unsafe to eat. While lacto-fermented foods do on very rare occasion get mold or go “bad”, this is generally not the case (see question 3). The lacto-fermented foods are alive and continue to “ferment” even in cold storage, just at a slower rate. In our experience, the harder the cell wall of the vegetable the longer they will last after fermentation and stored in the refrigerator. An example would be that cabbage that has a very tough cell wall will last over 6 months in cold storage vs. a pickle (cucumber) that has a soft cell wall will only last maybe 2 or 3 months in cold storage before it becomes too mushy and unpalatable. *Update: Keep in mind these are naturally preserved foods made without heat so you will never get the years of storage that canned or heat-processed foods will, but this is a great trade off consiering you will get all the live probiotics, enzymes and vitamins that are destroyed in heat and canning. 9. Why do my fermented foods sometimes taste different from batch to batch? Vegetables can taste different from season to season and farm to farm. The soil conditions, weather, etc come into play – this is the very same reason that fermented foods will taste different at different times of the year. You are making a natural product so tastes can vary slightly, that is normal. *Update: When we speak of different taste, this will be subtle difference. No worries, carrots will not taste like beets! 10. My brine has turned from clear to cloudy and/or there is white sediment on the bottom of my jar. Is this normal? It is normal to have your brine turn cloudy during fermentation, this is all part of the process. White sediment on the bottom of the jar is just yeast that forms during the fermentation process and is not harmful. *Update: Just to be clear, the yeast referred to above is not harmful. Fermented foods have been shown in studies to help fight yeast overgrowths in the body, such as candida. Consuming laco-fermented foods can be a great benefit to your health and well being. If you’re looking for a place to start there are many lacto-fermentation articles and recipes available to you. Our book ‘Lacto-fermenting: The Easy & Healthy Way‘ includes chapters on history, safety, tools, methods, how to get kids to enjoy fermented foods, and over 40+ tried and tested recipes to get you going in lacto-fermentation. Step forward with confidence, lacto-fermentation is easy! I have made lactofermented veggies many times. We bought a ton of pickling cucumbers at a produce auction recently. Well, while I was making the brine I ran out of Celtic salt 😕 I had to use table salt for a few mason jars worth. Will this be harmful to my pickles? What’s the worst that can happen? They’re fully submerged and for every 2 cups of filtered water I did a TBSP of salt. Chelsea, thanks for stopping by. Unfortunately table salt is a big no no when it comes to lacto-fermentation, as it inhibits the fermentation process. It’s also very horrible to consume it as well. Table salt (sodium chloride) is so refined it is seen by the body as a poison. For more information on this you may want to take a look at some of the articles on salt we have here on the web site. They’re very informative and may help you out. Do I Need Salt? Life or Death? Do You Need Iodized Salt? FYI- Himalayan salt is the best salt, for lacto-fermentation as well as consuming. It is well balanced salt in its mineral content and makeup. You can find Himalayan Salt almost anywhere nowadays and it is pretty affordable too. Extra-fine Grain Himalayan Salt is great for your salt shaker as well as fermentation. Some of the milk solids from the yogurt slipped through the cheesecloth into my whey. Not much. But I just through it into my lacto-fermented lemonade anyway. Do you think it will mess up the process? Hi, thanks for writing. It should work fine. The only issue you may have is that the lemonade may not last as long and may spoil or get a “sour” taste sooner. Just keep an eye on it to see. Vee, I wouldn’t be overly concerned about the K2 or specific nutrients in your ferments. Our ancestors fermented their foods regularly as a means to preserve the food, and at the same time the nutrition was enhanced and made more bio-available. But they did not sit around worrying about a certain nutrient. They just ate natural, unprocessed foods. So what I’m saying is the vitamins will be there in the fermented foods, it is not important exactly how much is there. What is important is quality, not quantity. So follow the basic correct methods of fermenting your vegetables and all should be good. If you just eat the fermented foods they will nourish your body. I’m new to fermenting and have read a lot of seemingly conflicting information online. I know organic veggies are the best option but I’ve read that even the light misting that grocery stores spray on their vegetables likely contains chlorine which can kill the good bacteria/enzymes. How do you know if your ferments actually contain probiotics? Why go to the trouble if I’m not sure I’m getting the health benefit? Denise, sometimes too much information can make one confused and unsure. Yes it is true that the “misting” done on vegetables in the grocery store will most likely contain chlorine. We know that chlorine can kill bacteria. But one thing to think about is that the vegetables not only have this “good” bacteria on the outside, they also are filled with good bacteria/enzymes inside as well. The little bit of chlorine misted on the outside is not going to effect the vegetable as a whole. You will know that the ferment contains probiotics because… the vegetables will not ferment if they don’t contain probiotics/enzymes. Instead the food will rot and smell horribly! One other thing to note, probiotics are not the only reason to make and eat fermented food it is just one aspect. Fermented foods are full of enzymes, easier to digest (so easier on the body), and also have a higher concentration of nutrition (vitamins and minerals). Please see our article If You Are Eating Fermented Foods For Only This Reason, Stop! for more information. Studies have also been done showing that the process of fermentation can also degrade and neutralize toxins (pesticides) in the vegetables. This is really cool! You can red about it in Newest Thing Out! Self Detoxifying Foods. Thanks for the quick response! I’ve also read that ensuring you have an anaerobic environment is important to boosting the probiotics and that mason jars with plastic lids are not completely anaerobic. Any thoughts on this? I’m excited to learn about fermenting and I definitely think there are health benefits — I just want to be sure I’m getting the most bang for my efforts. I will check out your links. Fermentation with an air-lock system that uses plastic lids and a gasket works just fine. The gasket seals the lids so it does become an anaerobic environment, if it did not the food would rot and you would know it. We have done thousands of ferments and did not find rotting food once. While looking at different recipes to ferment fruits and veggies it seems there are several differnt ratios of salt to water. What is it you recommend for a general use brine solution ratio? Also I’ve tried 4 or 5 different ferments and they seem to work slower than what I’ve read. Does this have to do with the brine? There are generally two commonly used brine ratios (recipes) used when fermenting vegetables. The most common brine recipe is 2 Tablespoons of salt (finely ground) to 1 quart (4 cups) of water. The other brine recipe is 3 Tablespoons of salt to 1 quart of water, which is used mostly when making pickles – full “sour” pickles to be exact, such as the kind you’d get in an authentic deli. And yes, the more salt used in fermenting the slower the fermentation process. But on the other hand too little salt and then putrefying “bad” bacteria could take a hold of the ferment before the good bacteria get a start. So either of the two brine recipes above will work for most ferments. How long do you suggest fermenting sauerkraut? I just read an article that claims that the healthy bacteria doesn’t form if you only ferment your cabbage for a few days and then refrigerate. But according to Nourishing Traditions, you actually want to put your fermented foods in cool storage after a few days. Thoughts? Can lacto ferment liquid be reused as a starter for other fermentation? For example, I just lacto-fermented a few cups of lentils. I used a whey starter, and it went about 48 hours before I decided it was time to stop. As I dumped the pitch into a strainer, I felt a little stupid. I used to brew beer and always maintained my yeast stock from my own brews by taking some and “cleaning” it for the next batch. Ive been pilfering whey from yogurt, and making yogurt cheese at the same time, but have more of that than I can use. I mean, im just collecting the bacteria from the yogurt in the whey…so why not collect the liquid from a wet ferment to save the L. Bacterium? You sorta touched on my main concern, which was essentially “other microbes”. I’m still a little wimpy when it comes to lacto fermenting as I’ve only been doing it a week. Cooking up some whole oats now that I used whey in for the presoak (48 hours). There is a really sweet yogurty bakery scent filling the apartment right now. No sugar. Part of itis breakfast, and I’m going to post-cook lacto ferment the other half. Lentils came out fantastic with a (whey cultured) lacto-ferment presoak. I was surprised that the cooking time didnt drop, however. Laurie, Great job with your fermented beets. Each fermenting can be different in the activity of the ferment and the amount of CO2 produced. By using solid lids to ferment without an airlock you are making a lot of extra work for yourself and yes the lids will bend when your ferments are strong, (what we want, right?). Also, I would caution you about safety that some ferments can produce enough off gassing to bend the lid, crack the jar, or cause the jar to explode. One student of ours actually shared why she now uses our fermenting lids, she fermented with the solid metal lids that come with the mason jars. Her jar exploded in the middle of the night, no one was hurt, but it did make a very big mess, and she had to repaint the kitchen ceiling. First time fermenting-so excited as I was raised with fermented pickles, and I actually crave them! I love to drink the ‘juice’ from the pickles, and have a question. In order to store them in the fridge, can I make a new brine for storing them in, so I can drink more of the juice? Thanks for this great place to learn from! I would not suggest changing out the fermented liquid with a non-fermened fresh brine. The liquid contains agents that help to preserve the pickles, so you pickles will break down fast if you change out the liquid. You will have to eat the pickles first to get the brine. That makes sense-thanks so much for the quick reply! Sorry, 1 more question, baby steps! Yes, always keep your fermented vegetables below the brine so they will not dry out and resist mold. Hello, and thank you for your wisdom. I am a newbe to some degree, and am curious to know if Himalayan “pink ” course or ground can be used in place of sea salt? Gina, Yes you can use Himalayan salt in place of sea salt. We use Himalayan salt as our go to salt for fermenting and cooking. Can you use lacto fermented sauerkraut whey to make yogurt or kefir? I am making my first batch of sauerkraut and would also like to make yogurt since I am lactose intolerant and store bought makes me sick. So I was wondering if the lactobacilli bunch could be used for that too, since it would be nice to not buy a starter culture if it is not needed. And if yogurt whey can be added to lacto fermented foods, then could it not be used the other way around? I have been searching the Internet for days and have not found an answer. If you, or someone you know, could answer this it would be greatly appreciated. Whey is derived from milk (dairy) so it will most-likely contain some lactose. Whey cannot be derived from your sauerkraut or other ferments. It just doesn’t work like that. To make yogurt you would need to purchase a “live” cultured yogurt from the store or a powdered yogurt culture online. But again it will contain lactose as it is derived from milk (dairy). Hope this has helped to answer your questions. Hello, I’ve been researching this question but haven’t found a solid answer. I’m hoping you would know! I like to use organic apple cider vinegar in my lacto-fermented vinegar recipe. Does using vinegar in this actually prevent lacto-fermentation? Do I need to stir it in after the fermentation process is done? Thanks for any advice you can offer. Alana, I would not suggest adding apple cider vinegar to lacto-fermented items until they are done fermenting. The lacto-fermentation process creates vinegar as part of the process, when you add more vinegar it will upset the balance and slow down the ferment. Glenda, great job making your own mayonnaise. I understand what you are talking about the mayonnaise kinda melting as it is left out, say on a sandwich you take with you that is not kept in the fridge. There is no way to keep the homemade mayonnaise from melting and soaking into the bread or separating in the heat. This is a natural made product, this is what happens. The commercial mayonnaise is not natural made, it has emulsifiers added that are not natural and it is often hydrogenated to keep it from separating. Keep in mind some commercial products can’t be made naturally. I don’t feel my vegetables fermented all the way and had my batch already in refrigeration…is it possible to remove from refrigeration and set it back on counter to continue fermenting? Mariag, really the short answer is no. I would not remove them from the fridge and attempt to continue the fermenting process. Once put into the refrigerator, the vegetables fermentation process slows down. This makes it “iffy” if the fermentation process would be able to really get going again. Thank you for this informative article. I am very curious to know, does the brine its self have healing qualities, or is it just the fermented veg that benefits gut health? I use a salt and water brine, for carrots, tomatoes, garlic, ginger and turmeric. Thank you! Brenda, since the vegetables are in the brine and the vegetables release their juices into the brine during fermenting and storage, then yes the brine will contain some level of beneficial, nutrients, vitamins, minerals and beneficial bacteria. This is my firsts time attempting to lacto-ferment veggies. I shredded garden-grown zucchini with a few carrots, used bottled water and pickling salt. Day 2: it’s bubbling, but the smell which I would have called “indescribable” I can describe somewhat as the smell of band-aids. Creepy. It smells gross. Has it already gone wrong? Thanks in advance for any advice. C. actually vegetables are buoyant and become even more so when in a salt-water solution. It is normal for bits and pieces to float, but with that said it is really important to keep everything submerged under the brine during the whole fermenting process. We suggest using a weight or two to keep your veggies down. We do sell lacto-fermentation weights in many sizes for this purpose. C. I’ve never tried fermenting zucchini, so I’m not sure what it should smell like. I know zucchini, even when raw, is a pretty soft vegetable. When fermentation happens the vegetables get even softer, it’s a natural part of the process. Make sure the bottled water is “clean”, ie. free of contaminates, chlorine etc. Since there is no regulation on bottled water, we really try to shy away from using it unless certain it is good quality. Also pickling salt is a processed/purified salt, we really recommend using a natural salt that has its mineral content intact. Our #1 recommended salt to use is Himalayan salt, which is pretty inexpensive and can be purchased from many stores also online at Amazon.com and other websites. You are right that if a ferment goes bad, you’ll know. Even if you’ve never fermented anything, and never smelled a bad one before, your body and mind know it is not a good thing to eat! I’ve had one go bad due to veggies that were not fresh enough, and one go bad due to water that was contaminated (we did not know until we saw what it did to the ferment). The only word I have for the smell of them is “funky”. Good fermented vegetables smell pickly – that nice sharp vinegar type smell that tells you something wonderful is inside. Bad ones have a smell that cannot be described – they may smell faintly pickly but not enough to be able to tell that it is a defined pickle smell, and this other odd smell that dominates. When I get one that does not smell like pickles by three to five days of age, I’ll let it sit for another three to seven days, and by then I always know – because it always goes one way or the other fairly quickly, and the spoiled ones are unmistakable! If it does not smell like pickled food, I don’t eat it! I just began my adventure in making ferments. I have noticed a moldy taste to some of mine and wonder if that’s normal or if something is off balance. I do all my ferments in fido jars with a boiled rock over. I have never had visual mold, but the taste is there. Any thoughts? Thanks ! Can u warm up fermented veggies. Eve, Sure you can warm up fermented veggies. Keep in mind if you heat them beyond warm there will be some die off in the probiotics contained in the food. That is not an issue as the food still will be better for you than un-fermented foods. I had a friend tell me they wanted to make seven layer bean dip with their lacto-fermented black bean paste. When they found out cooking it in the oven would kill some of the probiotics, they did not want to use their lacto-fermented beans for the dip. I asked them, what are you going to do instead go buy a can of commercial refried beans instead, that are poor quality? I suggested they use the lacto-fermented beans, yes it would loose some of the quality they had made, but it still would be much better than store bought canned beans.